Osiris makes 3rd generation in Egyptian Import Lines. Everyday she grows more and more beautiful, and has such a sweet outgoing personality! She makes a great addition to the breed. 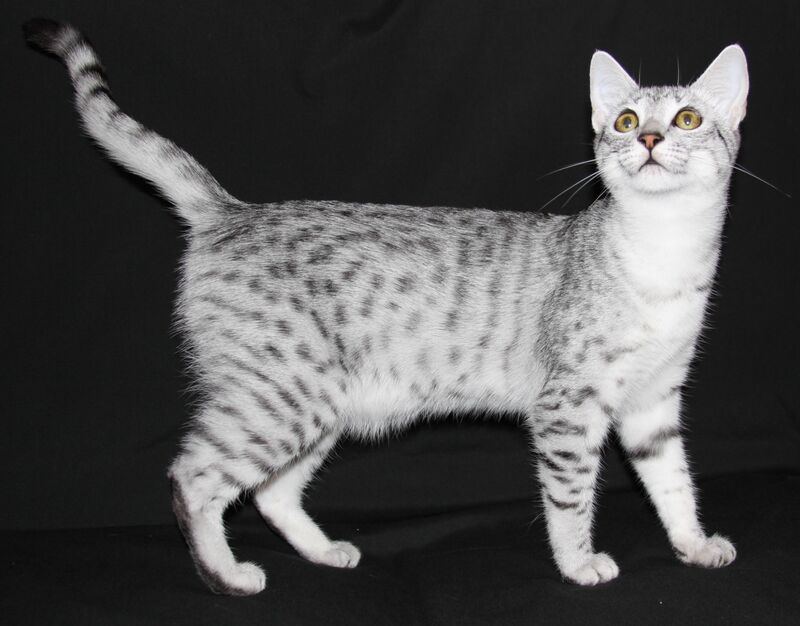 Jolie is a beauty, she has that elegant look to her that I like to see in an Egyptian Mau. She has an extra super sweet personality! A wonderful spotting and contrast to her. I cannot thank Eva & Dennis George enough for this beautiful girl. Jolie makes a great addition to Maullenium.